What's better than streaming video content on demand? Streaming it for free, of course. And free streaming is the name of the game in the ad-supported video on demand (AVOD) streaming space. Sony Crackle, the latest incarnation of the service that was once known simply as Crackle, is one of the AVOD services that cord cutters ought to know about. So what is Sony Crackle, and what does it have to offer? What movies are on Sony Crackle? How can you sign up for a Sony Crackle free trial? Do you know how to cancel Sony Crackle? We're here with solutions and answers in our complete guide to Sony Crackle. Sony Crackle is the same service that was formerly known as “Crackle” – though it was owned by Sony the whole time. What shows and movies are on Sony Crackle? Sony Crackle is free, but there are plenty of free things in life that you probably aren't going to bother to acquire or use. For Sony Crackle to be worth its non-existent price, it has to offer something you actually want to watch. So the question becomes: what can you watch on Sony Crackle? Sony Crackle's library doesn't have tons of exclusives in the way that Netflix‘s library does. Sony Crackle has also not shown a great ability to generate (or at least retain) top-notch original content. But Sony Crackle does have a pretty robust library of shows and movies that Netflix happens to be missing. And Sony Crackle's lack of exclusives doesn't necessarily put it in a bad light when you consider that the service's library overlaps with high-profile services that charge subscribers: there are movies on Hulu and Amazon Prime Video that you can watch for free (with ads, of course) on Sony Crackle. Sony Crackle isn't the most impressive Netflix alternative, but it works very nicely as a Netflix supplement. In other words, Sony Crackle (like Tubi TV) is the type of service you can and should have in addition to your paid streaming subscription(s). What devices can I use to watch Sony Crackle? Of course, for Sony Crackle to work as a great supplement (or even an alternative) to subscription video on demand (SVOD) services like Netflix, it needs to be available on the same devices that you use to stream those SVOD services. Good news, free streaming fans: Sony Crackle is indeed available on a ton of different streaming platforms and devices. You can get a Sony Crackle app on most streaming boxes, smartphones, and tablets. That's a pretty good selection, though it's worth noting that Crackle does not offer native support for Android TV devices like the popular Nvidia Shield. Sony Crackle is free, but you can make a Sony Crackle account and log into the service anyway. Why bother? Because, with an account, Sony Crackle can keep track of what you were watching and what you want to watch. That means that, for instance, you can switch from using Sony Crackle on your iPhone to using it on your Roku and will find that Sony Crackle remembers important things like where you left off in the show that you were watching, which shows and movies are on your watch list, and more. How much does Sony Crackle cost? How much does Sony Crackle cost? Is Sony Crackle free? Folks, it is indeed free: Sony Crackle has ads, but no subscriber fees whatsoever. That means that you can hop on Sony Crackle's app and use it without entering any payment information at all. You can't beat Sony Crackle's price: the service is free. Of course, you can set up an account if you so desire – as we mentioned earlier, “signing up” for Crackle will give you access to perks like a watch list and syncing across the apps on different platforms, among other features. But signing up for Crackle does not mean signing up for bills and payments. Even with a full account, Sony Crackle is free. You can sign up for Sony Crackle here. Sony Crackle is free, so there's no reason to look for special deals and promotions! But keep in mind that Cordcutting.com is always looking out for ways for you to save on streaming and cord-cutting services. There are plenty of services out there that aren't free, so be sure to check our homepage for the latest news about promotions and deals. And, in the meantime, enjoy paying nothing for Sony Crackle. A Sony Crackle free trial? Hmm, it feels like you're not listening. Sony Crackle is free. F-R-E-E. But if it's free trials you crave, we've got 'em. 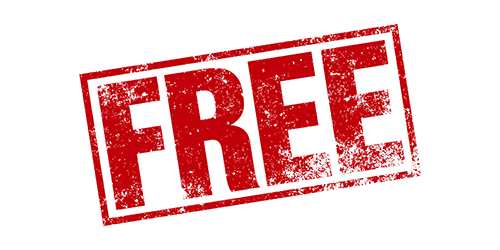 Check out our coverage of skinny bundles, SVOD services, and more for lots of links to great free trials. There's no commitment or annual payments involved in Sony Crackle because, uh, it's free. So there's really no reason to cancel your Sony Crackle account – heck, even if you do cancel it, you can still watch Sony Crackle without it. You can't stop Sony Crackle from offering you free content. It's just what Sony Crackle does. Again, there's nothing really to “cancel” about Sony Crackle – the service is free, so you're not going to get any bills whether you choose to cancel or not. But what if you just want to get rid of your (free) account for some reason? Can you delete a Sony Crackle account? Actually, you can! Here's how to delete your account and cancel Sony Crackle. 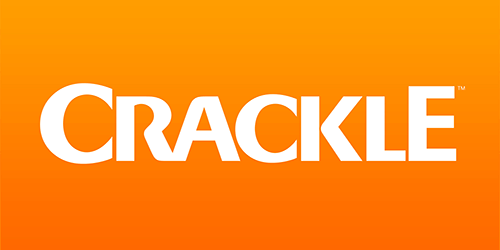 Start by logging into your account on Sony Crackle's website. Head to Profile/Account under your name in the top-right of your browser window once you're logged in. Under the “Personal Information” section of that page, you should find a Deactivate button. Hit that to deactivate your account. Keep in mind that you will be losing your personalized account if you do this. Since Sony Crackle is free, there's not necessarily any reason to delete your account – but, hey, to each their own! Our guide to Sony Crackle has covered a lot of ground, but there's still plenty more to learn about Sony Crackle and what's available through the service! Check out our other Sony Crackle-related content, including reviews, tips on what to watch, and more. You'll find links to our Sony Crackle coverage here on this page and can check out even more by searching for “Crackle” in our Cordcutting.com search bar. Don't forget to check out our social media pages and the Cordcutting.com home page for more tips, news, how-tos, reviews, and more from all around the cord cutting world.